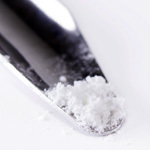 in silica™ serves the ingredients that need better efficacy, safety and cost/benefit ratio. 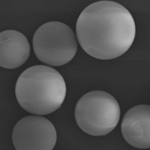 The technology associates your high-value ingredient with scientifically selected silicas to form versatile micron-sized spherical particles. The resulting composite material grants increased stability, controlled release, easier formulability and proprietary competitive advantages to your original volatile or active. 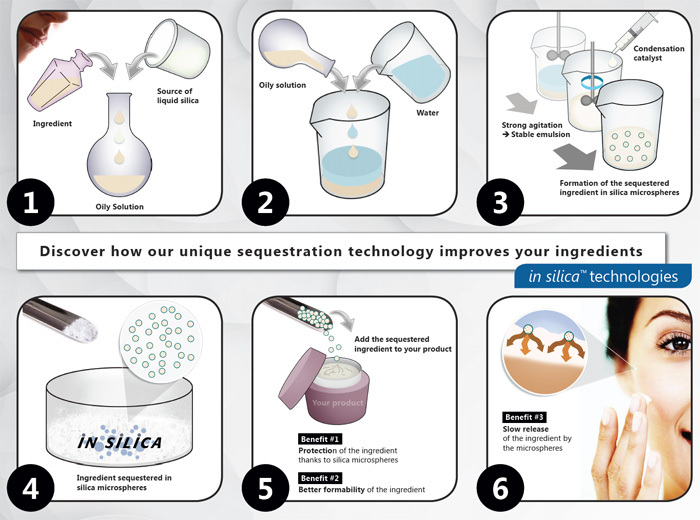 in silica™ aims to enable breakthrough cosmetics, perfumes and drugs. You provide the ingredient or mixture. Your ingredient, sequestered in silica microspheres is promptly shipped to you, along with characterization data. The improved ingredient is yours to be tested, formulated, commercialized. regulation-compatible material, process and products. * Rétinol véritable™ is a novel ingredient of SiliCycle. Comparaison of D-Limonene free (HEEN) vs sequestered in in silica™ microspheres shows that desorption kinetics slowed down with in silica™ Technologies ; nearly 40% more of D-Limonene in the sequestrated oil. The external surface can be optimized to create particles with a high or low dispersibility in water following the application needs. 1. A complex mixture of volatile terpenes (Black Spruce essential oil - HEEN) is sequestered in in silica™ particles. 2. 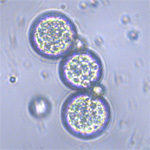 The presence of twelve compounds was studied. 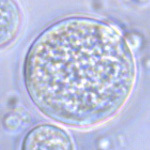 The complex mixture is entirely sequestered in silica particles. 1. A homemade mixture of highly-different compounds is sequestered in in silica™ particles. 2. The complex ingredient is entirely sequestered in silica particles.